I purchased this vintage radio cabinet about 8 years ago. I originally painted it a deep mediterranean blue and used it as a key cabinet in our foyer. When we made the change to “grey” in our home…we moved it into my office. I placed it dead center on my gallery wall and decided to make it a feature piece in that space. I chose the simple color design of black, white and gold. Which brings me to the sole purpose of this blog post! 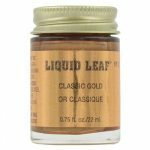 I am SO OFTEN asked what my “go-to” metallic gold paints are…as I use them a lot!!! 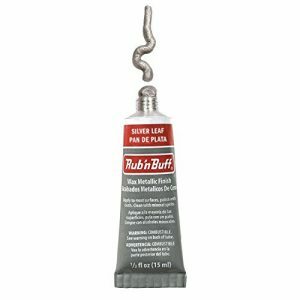 Today…..I give you Rub ‘n Buff! Every single time I use this product….I am just as impressed as the first time! And I always want to share!!! This is NOT a sponsored post! I just get so excited….and really hope to encourage you to give their product a try! 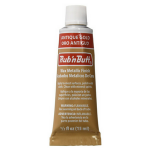 It is the best metallic highlighting product on the market in my opinion! It’s easy to apply….just as you see in the photo below. 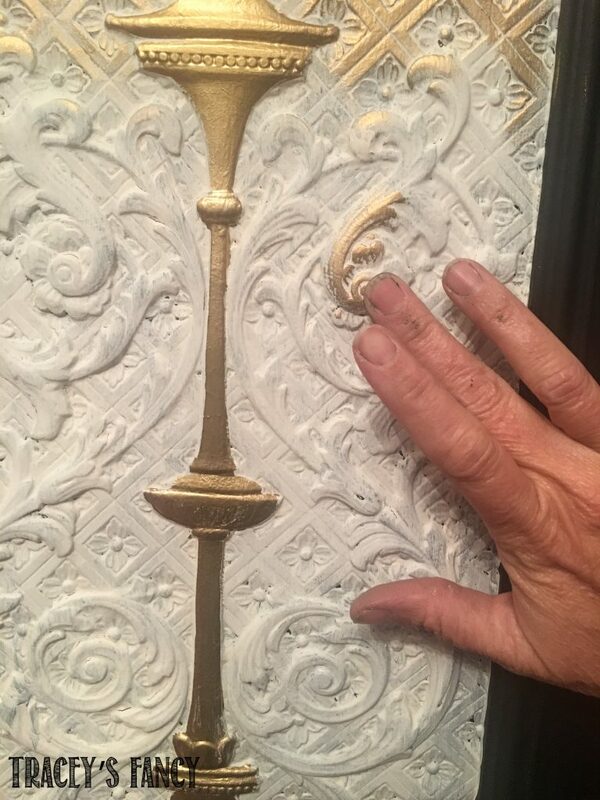 I use my FINGER to apply it….because you know….I’m #fancy like that! You just squeeze a bit out of the tube onto your finger and lightly rub or brush over the area you want to apply the highlight! Thats it!!! It doesn’t even need to be sealed! 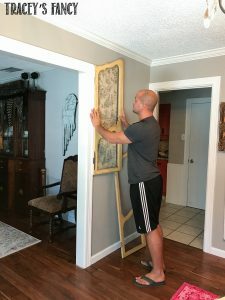 For this project….I wanted to highlight the carved areas on each door front. This would take hours of work with gold paint and a small brush. Not to mention controlling the flow of liquid paint. 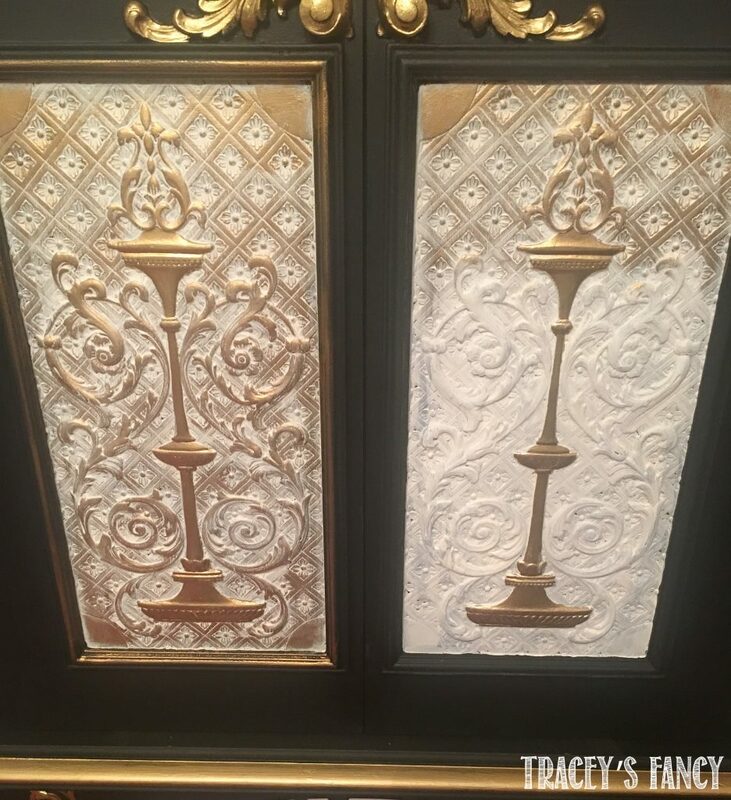 In the photo below you can see the difference between highlighting the door with gold…and the bit of the door without. 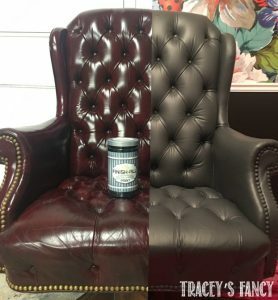 It is a HUGE difference….and it was so fast and easy!!! I just lightly grazed my finger over the raised areas of the carvings for dramatic results. 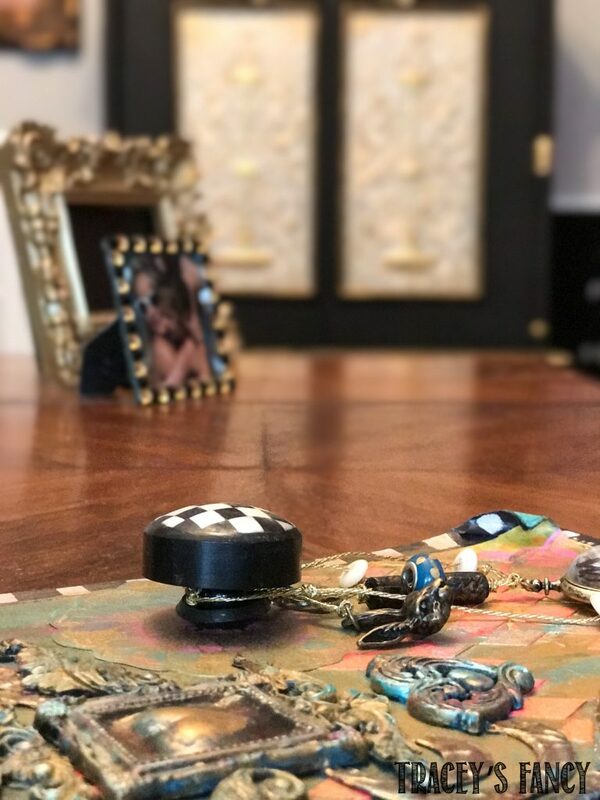 The photo below…..has nothing to do with the radio cabinet….and everything to do with the Alice in Wonderland handcrafted journal that was given to me….by my dear friend Heather Tracy of Thicketworks. Heather is a magician with her hands…and crafted this beauty JUST FOR ME! Every little trinket and dangle and stamp and mold….so lovingly planned to speak to my soul. Heather teaches very in depth and detailed courses on a multitude of paper craft levels. I highly recommend you check her out! Ok…back to the radio cabinet! 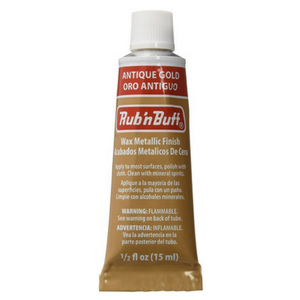 I really only use Rub ‘n Buff on areas that I want to highlight. 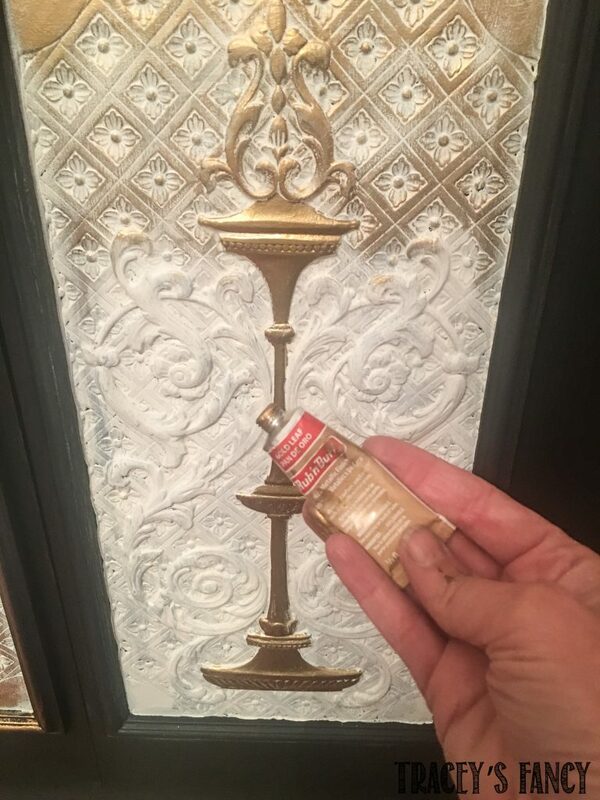 For a solid coverage….like the trim work you see below….I almost always use Liquid Leaf One Step Leafing Paint. It’s pretty amazing paint in the tiniest little bottle! So here you go….one last look into my office! And because I know you will ask…..the radio cabinet is painted in Heritage Collection All in One Paint Iron Gate (black) and Cashmere (white). This paint needs NO primer or sealer! You simply paint a coat or two and walk away! 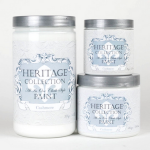 It is a super hardy and durable paint that I have used over and over in my own home! Here are some Amazon links for the products I used. I promise to write a blog about the fun wall paper. 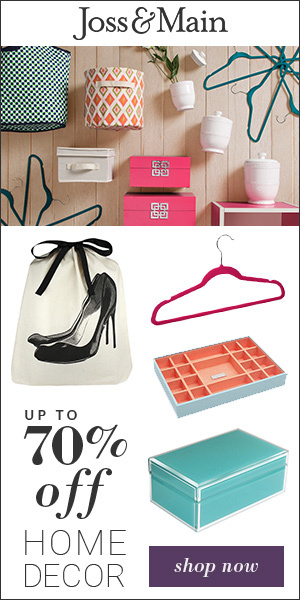 You’re going to ask me about the cute pink rug, get it here. And the wall color is Sherwin Williams Mindful Gray. 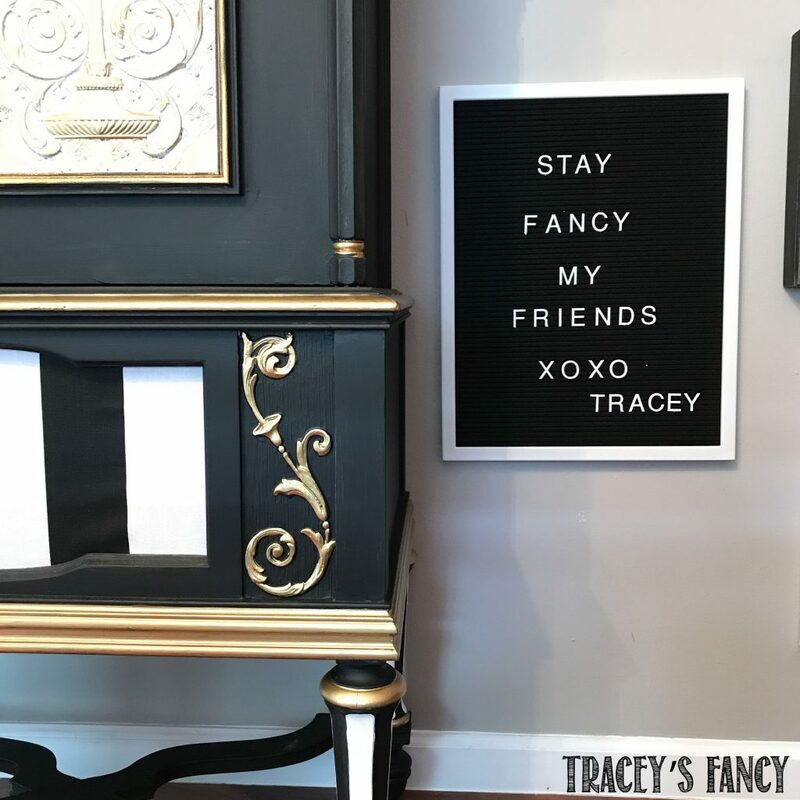 Please please please share my painted radio cabinet pin on Pinterest and get more ideas on my Armoires and Accents Board & follow me here. My friend has followed your blog for quite awhile and I have just recently signed up myself. I love your style. I love everything you do. Today is my birthday, and I opened up the email from you this morning and it said “I hope you are kicked back with your morning coffee and feeling no pressure to do ANYTHING! And that’s exactly what I was doing at that moment. So fun. 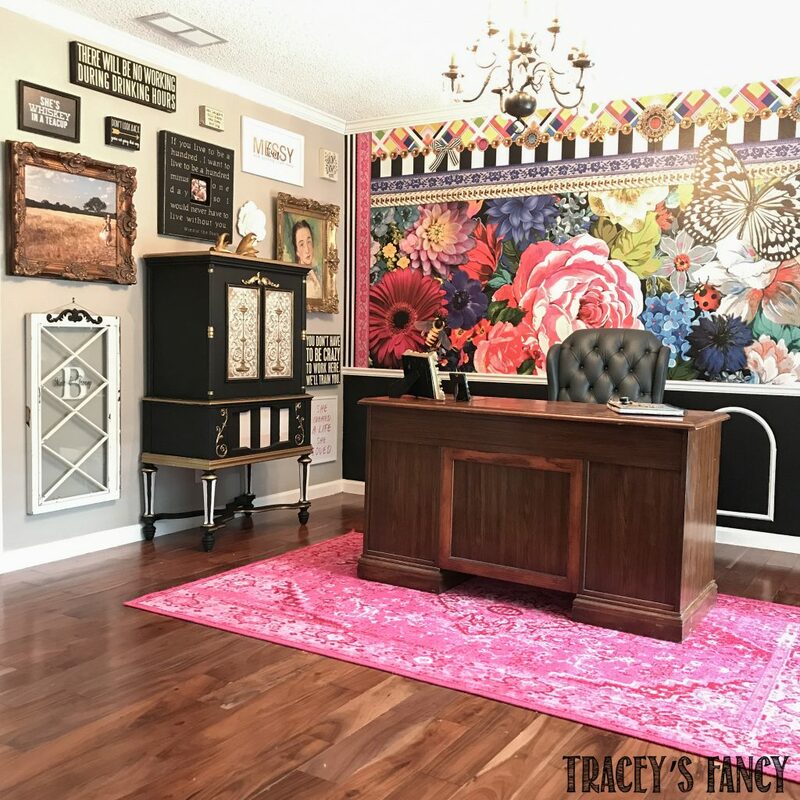 Love your office, love that wild wallpaper that I would put somewhere in my house in a heartbeat. Thank you for all you share! Love your blog. You are so talented. Sallie!!! Happy Birthday a day late!!! You made my day with this comment! I appreciate your friend for leading you here to my blog! Please tell her for me! And I love that you took the time to read AND respond with such kind words on YOUR BIRTHDAY! I look forward to sharing more with you! 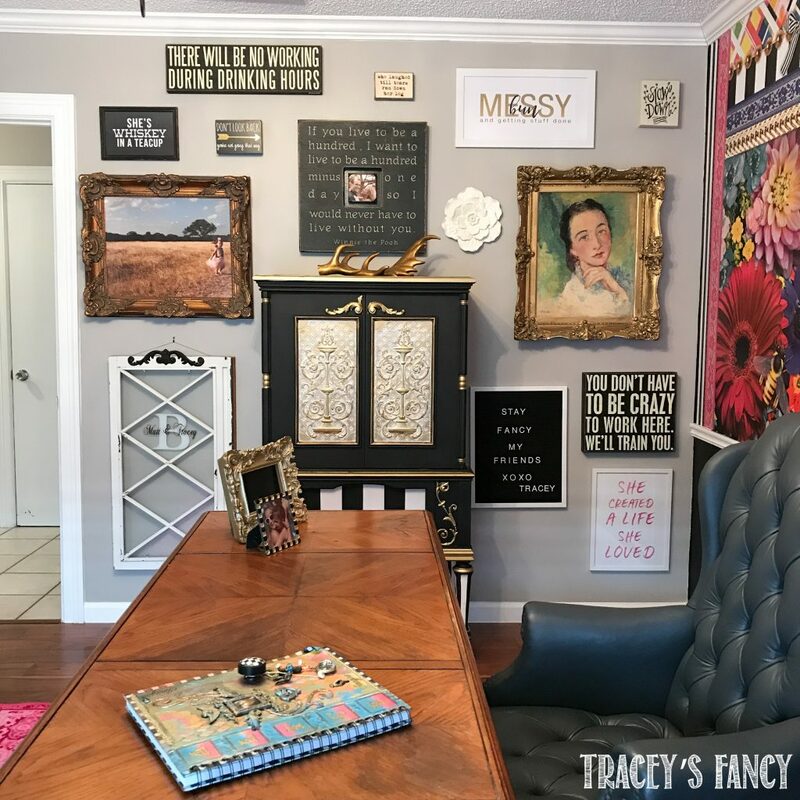 I am in love with your creative space, Tracey. Such a perfect blend of sophistication and whimsy. It expresses your Soul perfectly. That Radio Cabinet??? So gorgeous…and YES: Rub n Buff is awesome. Yep. You know how much I love you Heather!! !